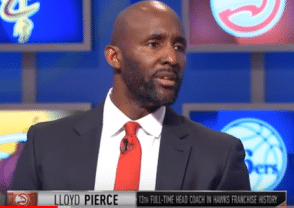 Atlanta Hawks Lloyd Pierce built his reputation around the NBA as a player development expert. 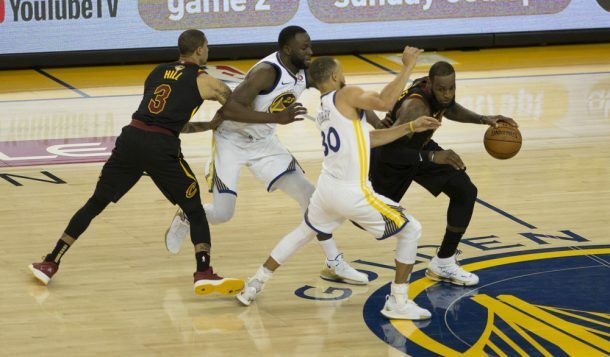 He got his start in the NBA with the Cavaliers just at the same time as Lebron James arrived. With a combination of expertise and hard work, Pierce was able to earn the trust of many of the game’s biggest names- including James. When Pierce joined the Warriors, he worked with the Warrior’s young talent- Curry and Thompson. Through the years, he has worked with many of the NBA’s talents- Ben Simmons, Joel Embiid, Robert Covington, James, and Dwayne Wade. Atlanta Hawks Lloyd Pierce will have much work to do with the youth-filled roster. Already a young team, the Hawks have added several young stars to the roster through the draft in Trae Young, Kevin Huerter, and Omari Spellman. Pierce should be well prepared for the challenge of developing these young players. While Atlanta Hawks Lloyd Pierce is a defensive-minded guy, here are a handful of plays from their summer league. While they don’t have their full roster, these may give us a glimpse of what we may see from Pierce and the Hawks this year.